CONGRAF EMBALAGENS’ research and development department consists of a team of specialized professionals who are constantly focused on creativity and innovation. Modern software and equipment integrated to the production process are used to optimize structural design solutions and their variations, ensuring confidentiality and protecting intellectual property. At the same time, the R&D department counts on an comprehensive online library centered on parameterized standards, which contributes immensely to the optimization and improvement of projects over a short period of time. The R&D team also creates mock-ups and prototypes to simulate the final packaging so testing, verification and validation can be performed quickly and effectively in order to comply with the briefing proposed by each client. As part of the kit production process, CONGRAF EMBALAGENS counts on a cutting-edge machinery structure and a specialized team responsible for handling, inserting and closing flow pack packaging in order to meet the most diverse specifications and client needs. 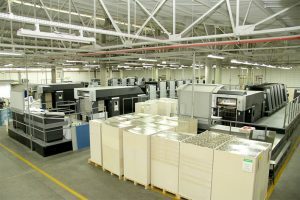 CONGRAF EMBALAGENS counts on a modern printing facility and state-of-the-art equipment that caters to the specific needs of each and every client. We specialize in conventional offset printing and UV printing designed for laminated packaging production, as well as other types of substrates that require the application of special varnishes. Our Offset Division consists of a team of specialized professionals who have received formal training on the highest quality standards and legislations (GMP, ISO and FSC). As a result, they thrive to meet client requirements, always ready to produce medium and large volumes. 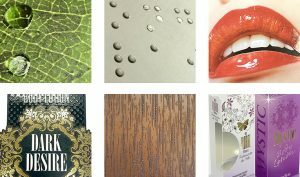 CONGRAF EMBALAGENS produces several types of surface finishes and special effects, including matte and gloss, high-gloss, and textured soft-touch varnish, just to name a few. In addition, we are equipped with the latest hot-stamping, embossing, and creasing machinery. Our high-speed gluing machines, equipped with special electronic devices prevent mixing and can be set up to apply braille writing even on laminated substrates, or on special surface finishes. The gluing of components results in complex, differentiated designs. 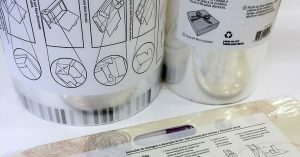 The gluing division also counts on “hand-pack” peripherals used to increase production speed and precision during the final packaging process. CONGRAF PACKAGING counts on an integrated software for data recording system that integrates all the events and administrative and productive processes in a single, interconnected system, making it easier to establish objectives and manage the entire printing process effectively in response to the needs of each client.